Hotel Galvez & Spa® and The Tremont House today announced both were awarded the annual “Best of Wyndham Grand” awards, which recognize the brand’s top performing hotels and their staffs. In celebration of the achievement, Steve Cunningham, complex general manager, accepted the award from Wyndham Hotel Group leadership. To be eligible for the award, hotels must demonstrate strong quality scores, outstanding guest reviews and an unwavering commitment to the Wyndham Rewards loyalty program and its members. The Tremont House, A Wyndham Grand® Hotel, is owned by the Cynthia and George Mitchell family as part of Mitchell Historic Properties. 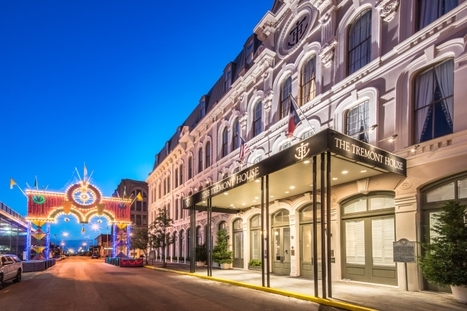 The Tremont House is a 119-room boutique style hotel located in the heart of The Strand National Historic Landmark District and Galveston’s Downtown Cultural Arts District. The hotel features 14,000 sq. ft. of meeting space, a bistro-style café, fitness center and two bars for entertainment – the 1888 Toujouse Bar and The Rooftop Bar. For reservations, call (409) 763-0300 or visit www.TheTremontHouse.com. Wyndham Grand® is an ensemble of distinguished hotels that are approachable by design, representing one-of-a-kind experiences in key destinations with refined accommodation, attentive service and relaxed surroundings. A part of Wyndham Hotel Group, the Wyndham Grand family currently consists of more than 40 locations around the world. Additional information is available at www.wyndhamgrand.com. Most Wyndham Grand® hotels are franchised by Wyndham Hotels and Resorts, LLC or its affiliates. Certain Wyndham Grand hotels are owned or managed by an affiliate of Wyndham Hotel Group, LLC. Wyndham Hotel Group is the world’s largest hotel company based on number of hotels, encompassing more than 8,400 hotels and over 728,200 rooms in 80 countries. Additional information is available at www.wyndhamworldwide.com. For more information about hotel franchising opportunities visit www.whgdevelopment.com. Hotel Galvez & Spa, A Wyndham. 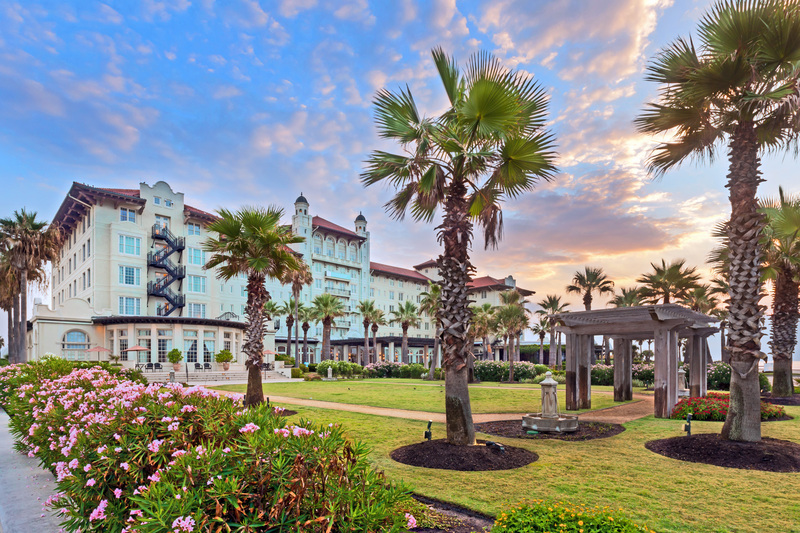 Grand Hotel, has graced the Texas Gulf Coast since 1911.